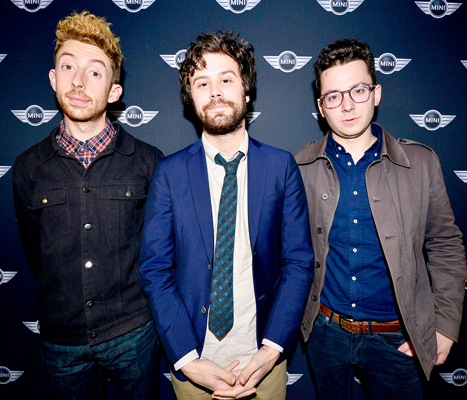 Passion Pit frontman Michael Angelakos came out as gay during a candid interview with Bret Easton Ellis. The critically acclaimed Indie singer admitted on Ellis’ podcast, B.E.E., that he desperately wanted to be straight because of his marriage to his now-estranged wife Kristina Mucci. "I&apos;ve told very few people in my personal small circles because I don&apos;t know how to talk about it, you know?” Angelakos said about making the decision to come out on air. "When this was all happening recently, finally, I just decided it might be best to talk about it here. I don&apos;t really know what happened, but it&apos;s just one of those gut feelings. It&apos;s the same gut feeling I had when I said, ‘Okay, I kind of just need to talk to people about the fact that I am. I&apos;m gay.’ And that&apos;s it. It just has to happen." It was Mucci, however, who turned out to be his biggest supporter. "When I decided to really deal with it head on, which was, I don&apos;t know, in June, she was the one who spearheaded it in a way,” the musician revealed. “She said, &apos;You need to figure out what&apos;s going on with your sexuality because you can&apos;t hate yourself anymore.&apos;"